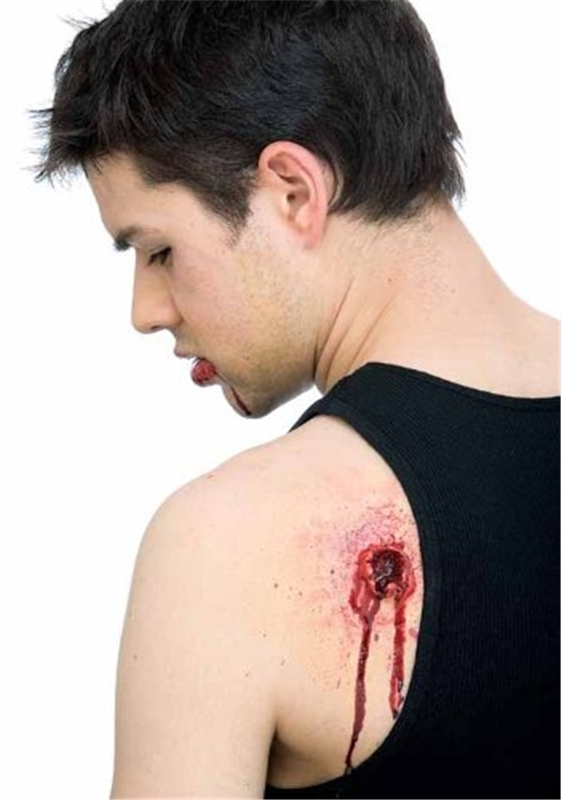 People are not bulletproof, as proven with the Bullet Entry/Exit Wound Prosthetic. This pre-painted latex prosthetic is ready to wear and features a deep hole surrounded by torn flesh ridges, making it appear as if you have actually been shot. Blend in the edges with some flesh latex and foundation, then apply some special effects blood for an added gory effect. Now all you gotta do is pair it with a smoking gun.